Written by Ana Skidmore, Two Foot Creative. Bill’s floral designs have graced a wide range of venues from some of the country’s top museums to elite private residences. One of my favorite stories is how Bill got his big break. Bill’s non-traditional approach to designing wedding floral and décor allows him to take the time to tailor the wedding around your life and what is important to you. And, what you want your guests to experience from the event. 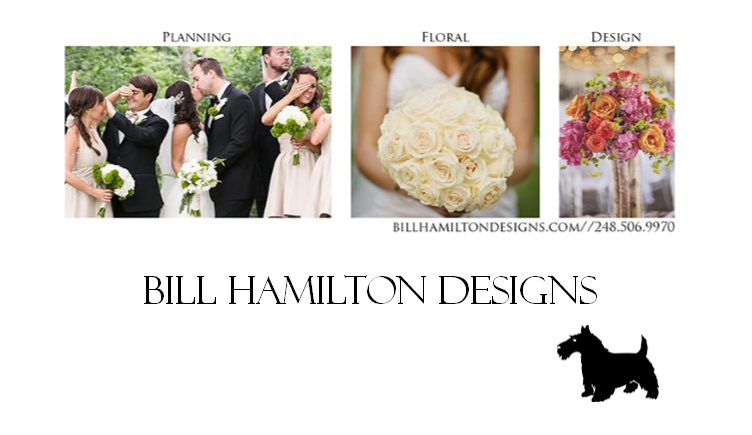 Bill Hamilton weddings just don’t end after “I do” – they are talked about and remembered for a lifetime. Bill learned that the mother of the bride buys her daughter (the bride) a charm every year for Christmas. As a surprise to the bride he inserted two charms into her bridal bouquet–a bicycle built for two and a roller blade – which brought her to tears when she saw them.